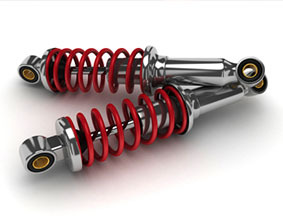 Shocks and struts are critical to the performance of your vehicle’s handling and comfort. Shocks and struts replacement is needed when these parts become worn. When should I have my steering and suspension checked or serviced? When your vehicle seems to bounce excessively when you hit a bump. When you notice oil or wetness on the outside of the shock or strut.